The cathedral square was named after Jean de Chatillon in 1953 as an homage to the bishop who founded it in 1145 and laid its first stones. His remains are in a sarcophagus in the building’s choir. Eight centuries later, the remains of an old Romanesque cloister, forming part of this first cathedral dating from the 12th century, were found in the ruins of a house near this location. 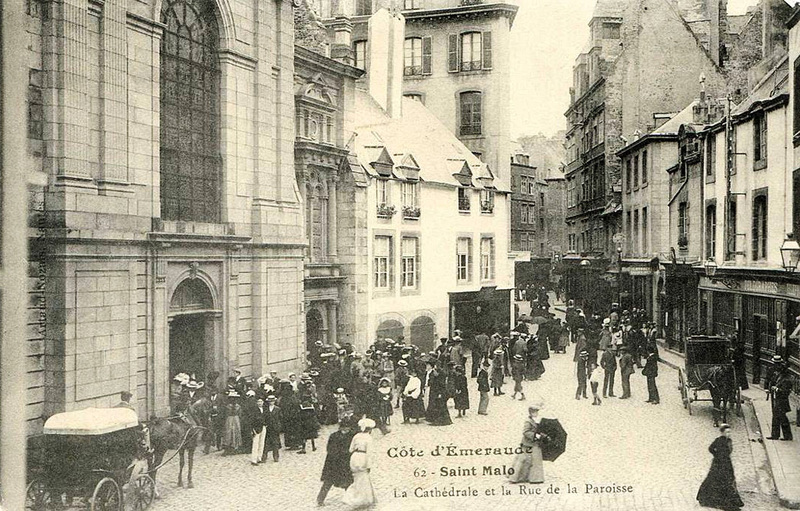 Saint-Malo cathedral, which is dedicated to Saint Vincent, the martyr of Saragossa (Spain), was extended from the 13th to the 18th centuries and has a Neo-Gothic spire on top of it, which was destroyed on 6 August 1944, at the start of the battle for the liberation of the town. The reconstruction of the spire in 1971 marked the end of the work involved in rebuilding the historic town of Saint-Malo. The restored cathedral, fitted with fine modern stained-glass windows, was inaugurated the following year. The burial place of the man who discovered Canada, Jacques Cartier (Saint-Malo 1491 - Saint-Malo 1557), was rediscovered there in 1949, and the remains of René Duguay-Trouin (Saint-Malo 1673 - Paris 1736) were brought there in 1973.